Beautiful purple tulip inspired dress with dozens of stage sparkle, this is only less than 8 months old & in perfect condition. Looks stunning on stage with its deep purple colour accentuated by the illuminous yellow & hot pink tulips. 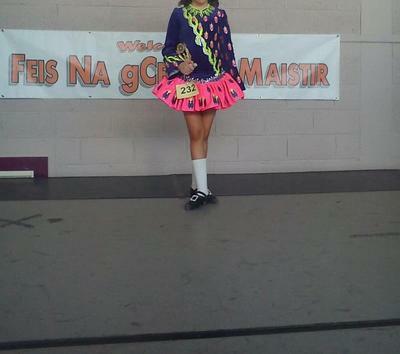 Comes complete with kickpants & headband & is very highly complimented for its unique design at every feis. It also has a stunning shawl at theback which “floats” as you dance!! Asking Price: €450. Shipping costs are included in the asking price for worldwide shipping. Sale is final.